London either you love it or loathe it. I’m one of those people that love London, and I honestly can’t understand how someone wouldn’t love London. 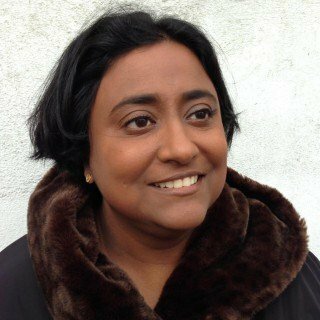 Do you know someone who loves London despite its obvious flaws? 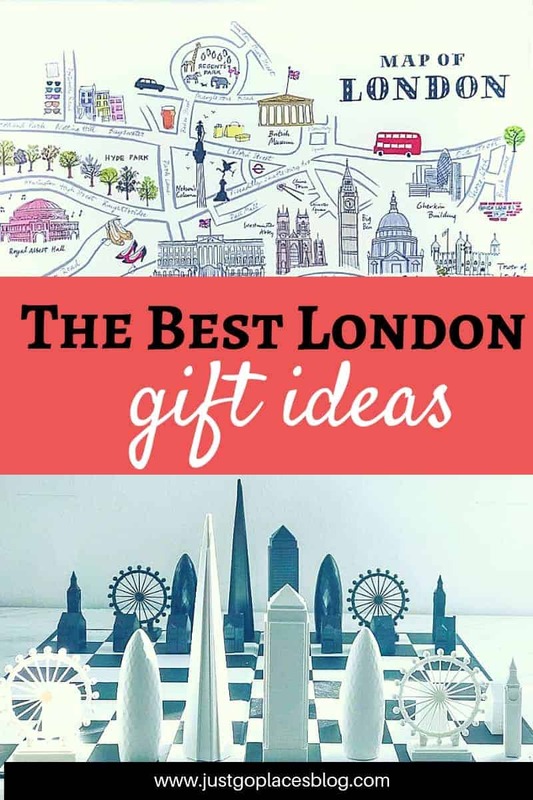 Here are some great idea for London gifts for every lover of London you might know. You can get some great London themed gifts which are not the tacky souvenir kind. And, you know when you shop for others, gifts to bring back from London for yourself may catch your eye. 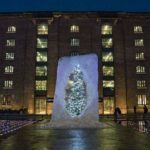 Here’s our curated list of cool gifts from London and about London. 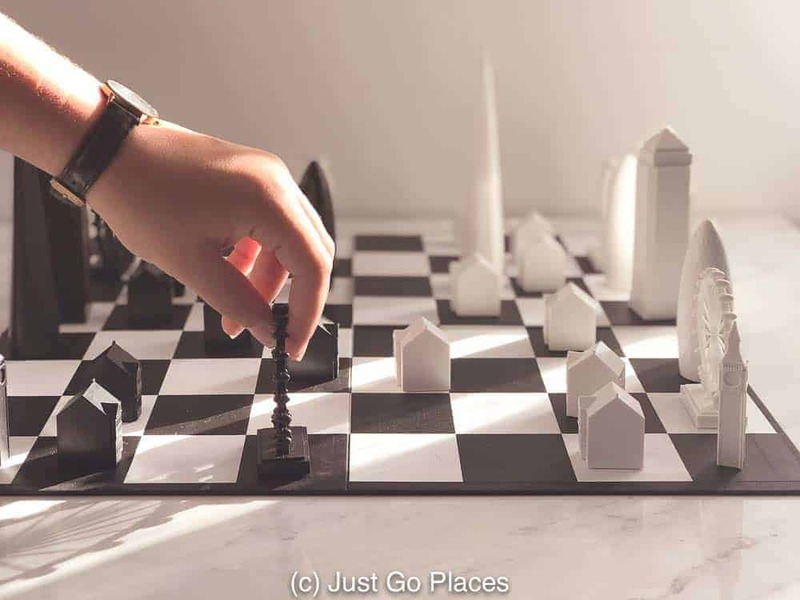 This beautiful set is perfect for people who love London and/or chess and/or design. 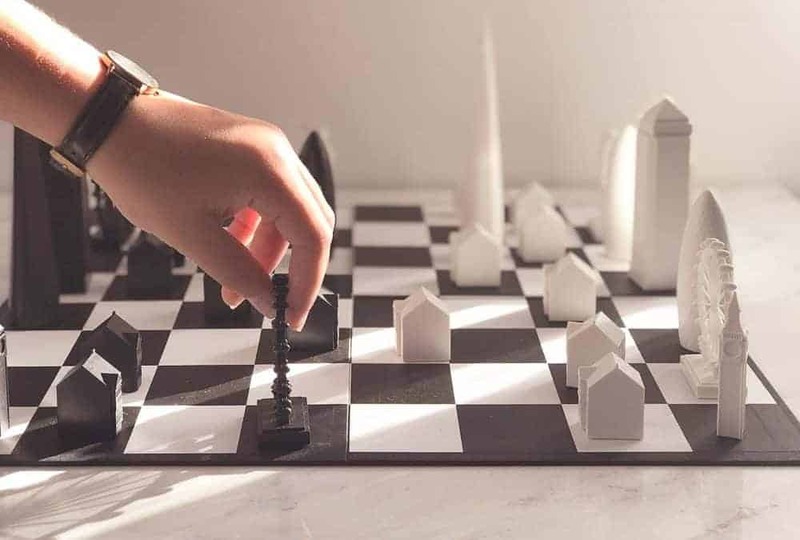 If you are looking for cool gifts from London, check out the London Skyline Chess set which has pieces based on the architecture of the city. For the young budding architect lover, the Lego Architecture skyline building set has The London Eye, Big Ben, the Tate Modern, St. Pauls and Tower Bridge. 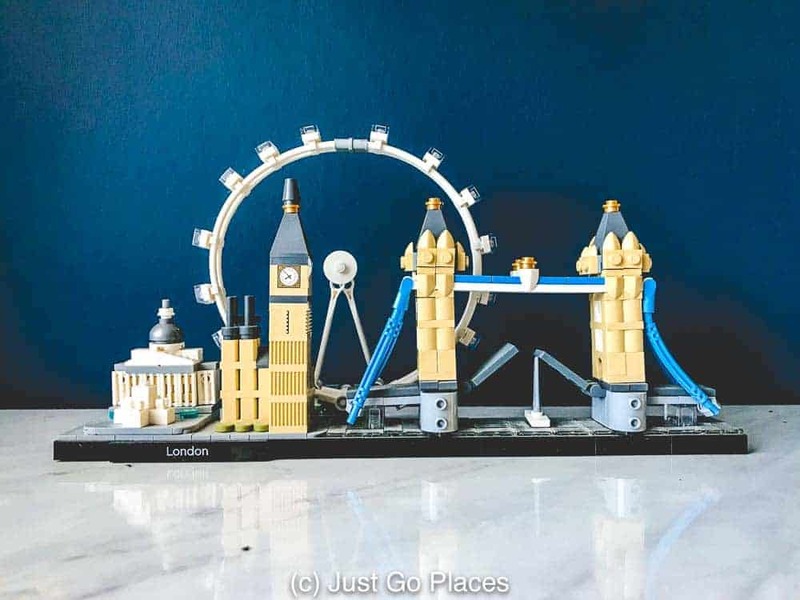 Other Lego architecture London gift ideas include the Buckingham Palace Landmark Building set and a Lego Creator/Lego Creator Expert sets of Tower Bridge and red London double decker buses. 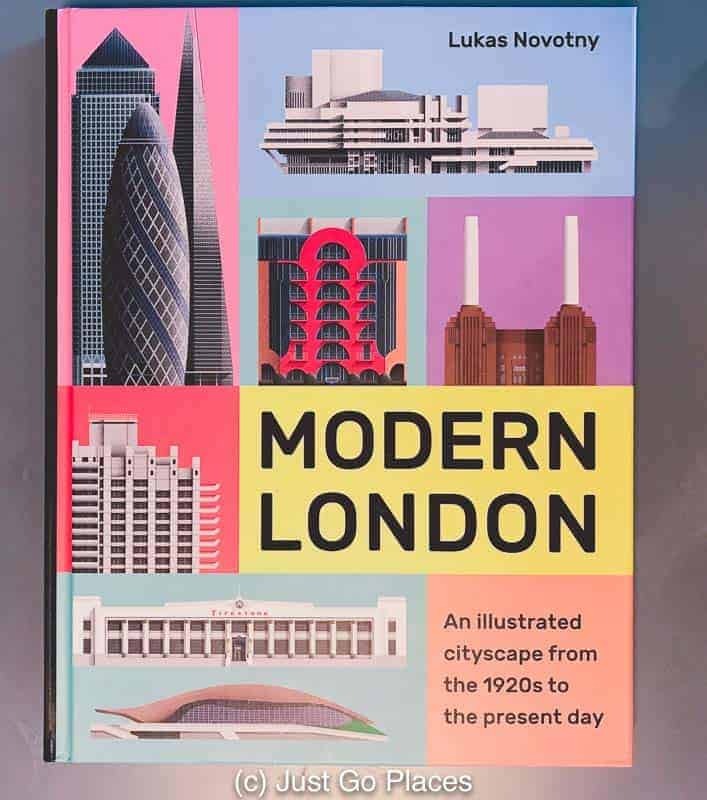 This gorgeous book by a London resident artist, Modern London, showcases the best of London’s modern architecture for the last 100 years. 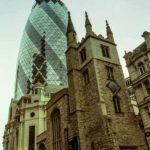 Buy These Great London Gifts Now! 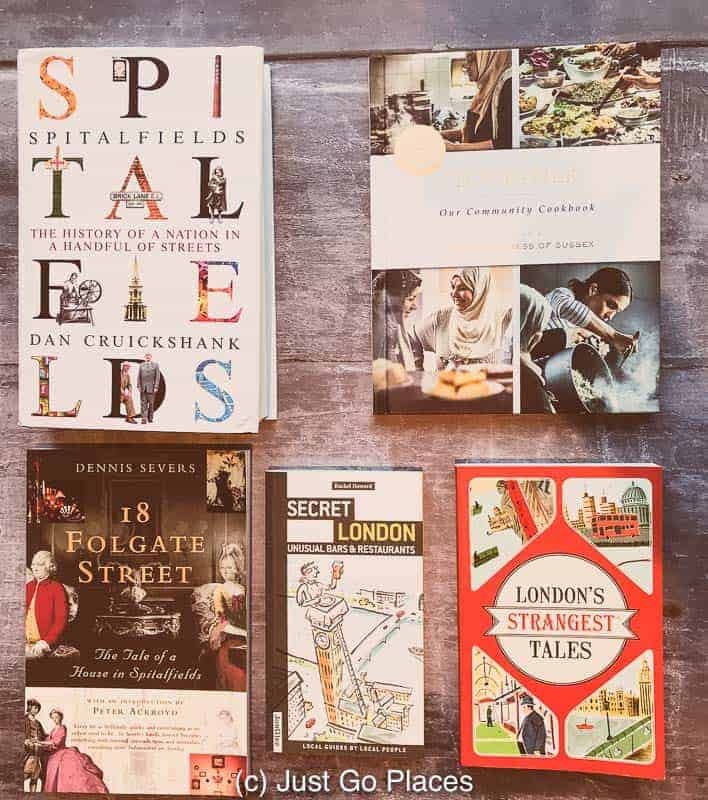 Books about the city and its life make great London themed gifts. 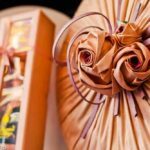 London themed gifts for book lovers include aspects of the city’s history, cooking and entertainment. Spitalfields is a really interesting overview of an interesting part of East London which has seen waves of immigrants, Jack the Ripper and now trendy hipsters. Narrowing down the focus of the area even more, 18 Folgate Street is the history of a house in Spitalfields which is now restored as a museum. Moving onto modern London, Together: The Community Cookbook was a project by the Duchess of Sussex (our very own American princess!) 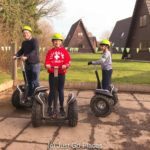 to fundraise for the inhabitants of one of the worst London tragedies in recent times – the fire at Grenfell Tower in 2017 which killed 72 people. 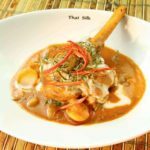 These recipes are from some of the displaced survivors of Grenfell Tower and showcase the migrant history of London today with diverse recipes including Iraqi, Algerian, Indian and Russian. Fun Fact! (From London’s Strangest Tales) Did you know that upscale grocer Fortnum & Mason started off by recycling Queen Anne’s old candles? These books are gifts from London, ideas where to go in the future for that London lover who will surely return. 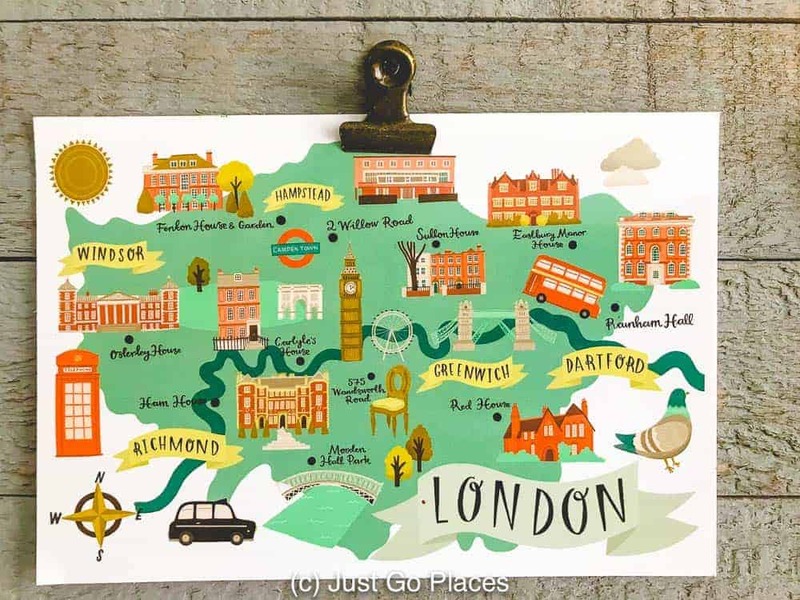 Buy these London themed gifts for book lovers now! 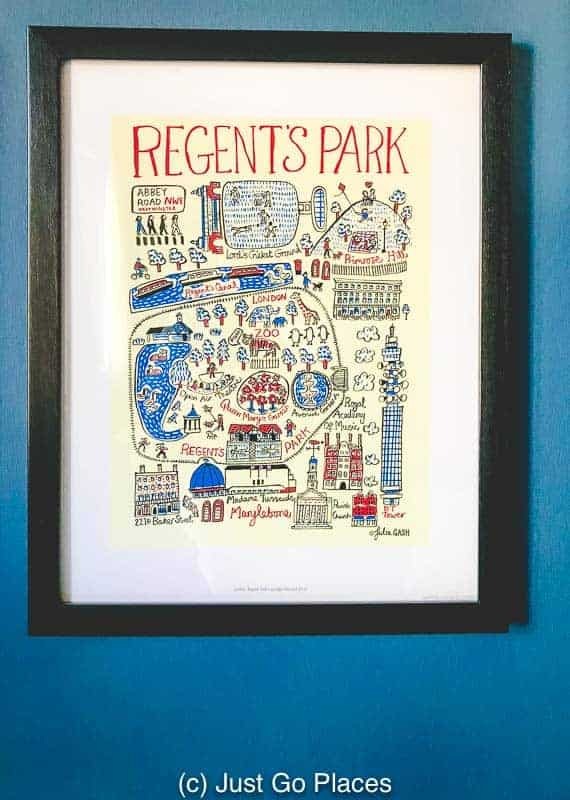 We have wonderful memories of Regents Park (see the print below by Alice Tait) because we lived when the kids were young in St. Johns Wood near the famous Abbey Road Studios. Every time we left our house, we would run into tourists trying to recreate the famous walk across the crosswalk by The Beatles. Every single time. It was never-ending. I can tell you that got annoying very fast. We had to leave the neighbourhood before my impulse for vehicular homicide got the better of me. These prints make great London gift ideas because they can commemorate a special place. Gin has had both a huge history in London and a new resurgence as a drink. In the early 18th century, Londoners would drink about 1/2 a pint of gin a day leading to serious alcoholism and social issues as depicted by artist Samuel Hogarth’s famous engraving series, The Rake’s Progress. 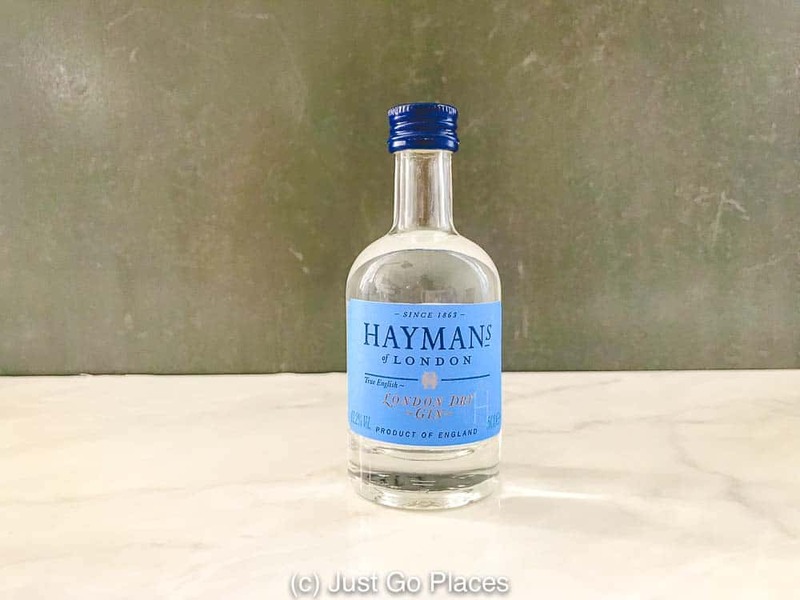 Then there was a lull in the popularity of the drink and now there are gin bars all over London. Gordon’s is the world’s best selling London gin but cool craft bottles of local gins make great gifts to buy in London. Buy these London gifts for the home! You can buy great antique maps of London. This map below I bought as a present for my husband. I loved that this particular map contained all the illustrations of the buildings on the banks (including the Tower of London!) and the boats on the River Thames as well as the layout of the streets. You can see the old London Bridge which had buildings on it similar to what you find in the Ponte Vecchio bridge in Florence Italy today. 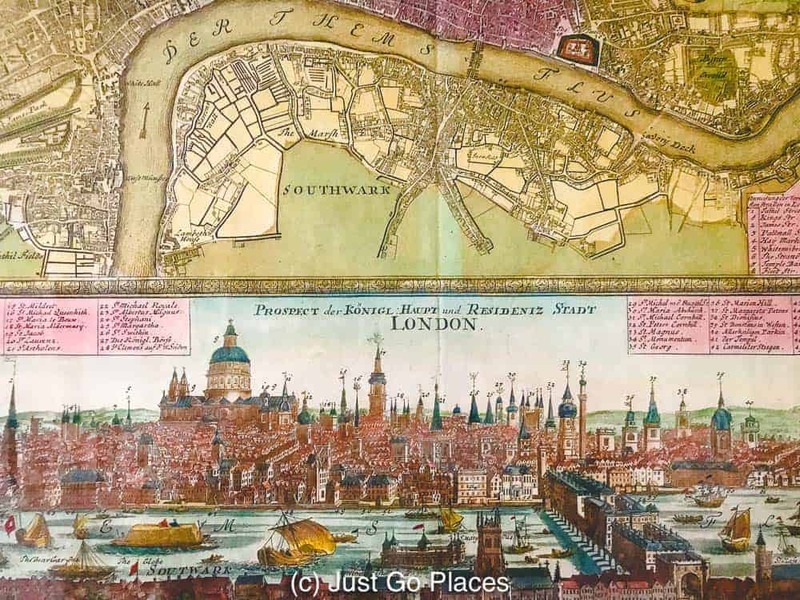 This antique map of London shows the Thames and the City of London during Elizabethan times. I bought this map in an antique shop off Bond Street but you can get much cheaper options which make great gifts to bring back from London. I’ve gotten books for my son called Maps of London and Beyond and London: A History in Maps which has got maps showing how the city progressed. They are very cool to browse through to see how this dynamic city has changed through the centuries. Maps of London don’t need to be expensive such as this postcard.